Yee-hah! 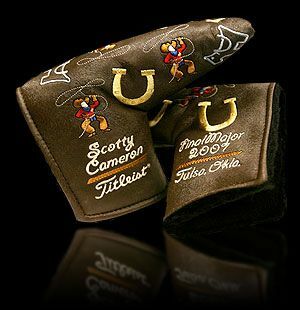 For the final major of 2007 in Tulsa, we got genuine cowboys ropin saddled-up Scotty Doggies and using bright, gold horseshoes for a little extra luck. You have to love the synthetic pony-hair headcover hide, too.